Crouse Chiropractic provides gentle, safe and effective chiropractic care to patients of all ages. Voted Best Chiropractor in Hickory by the Hickory Daily Record. Discover how we can help you today! At Crouse Chiropractic, our entire team wakes up with one mission in mind: To make a difference in every life that we come in contact with. 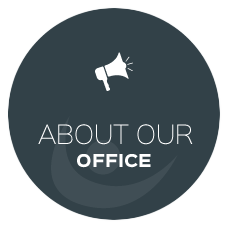 While chiropractic is our specialty, your health is our top priority, which is why Hickory chiropractor Dr. Crouse and our entire practice aims to treat you like a part of our family. Whether you’re visiting us because you’re in pain or are making an appointment for your child’s health, you’ve come to the right place. Not only does our team provide effective and gentle chiropractic adjustments, we’re also conscious of the busy lives that our patients lead. With each visit, we aim to respect your time while offering you custom care unlike anywhere else. Let us get your health back on track so you can get back to living your life. 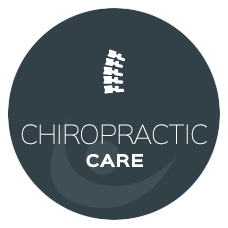 Ready to learn more about how chiropractic care can improve your health and the health of your family? We would love to speak with you! We happily accept most insurance plans, including Medicare and Medicaid. Schedule your free consultation with a chiropractor Hickory today. Great place. Will recommend to all my friends. Dr. Crouse has helped tremendously over the last 4 weeks, range of movement has really improved since starting with Dr. Crouse. 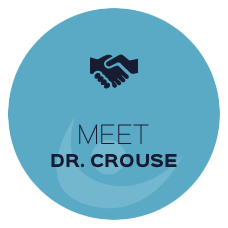 I would definitely recommend people to Dr Crouse! I think they are the best! They are. All awesome! Very caring and professional staff!! Dr Crouse has helped me greatly!! So glad I found you!! Friendly staff, excellent service and feeling hopeful with each passing day! All the staff are very friendly and helpful. Always smiling and they seem to know everybody’s name after one visit, and they’re always willing to work with my schedule. It’s very easy to talk to Dr. Crouse. He never rushes his clients. I’m extremely satisfied I chose Dr. Crouse for my chiropractic needs. Thank you for a great appointment. I wasn’t sure what could be done to help my injury but you informed me of options and the adjustment gave me great relief. Amazing staff and environment. I recommend to anyone I can. Everyone in the office is very friendly and professional! By far the best experience I’ve ever had. Always feel welcome and Dr. Crouse truly seems to care. I only wish I’d started coming sooner! Was amazing! Went above and beyond all expectations. Will definitely recommend to others. He is a fantastic Chiropractor! Everybody is super friendly. Makes it feel like a visit with friends instead of a doctor. Great folks here and super thankful! I couldn’t even grocery shop without pain before going! The first visit helped me out immensely! I really like Dr. Crouse and his staff!! I had been my to family doctor with no relief! I saw Dr. Crouse and by my 4th visit I was pain free!! 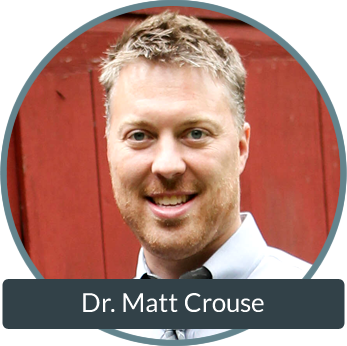 I highly recommend Dr. Crouse to anyone suffering in pain. I know he will help you!! Would recommend this office to anyone. Helped me a lot through my pregnancy. Thanks guys for a very helpful experience, your understanding and compassion are very much appreciated.